From convincing communities to uproot all their cassava to replace with new clean planting materials, piloting a commercial system to supply disease-free planting materials, to developing new rapid methods to diagnose the viruses, the IITA Vector Entomology team in Eastern Africa has certainly been busy exploring all options to save the cassava in Eastern and parts of Central Africa. Brown streak disease in cassava. A seminar presentation by James Legg, a plant virologist at IITA who is leading the team, shared information about the various activities the team has been conducting to control two devastating diseases of cassava. The seminar was held recently at IITA’s Eastern Africa hub offices, in Dar es Salaam, Tanzania. Cassava is an important food crop in sub-Saharan Africa with the potential to become a commercial crop too. However, two viral diseases, cassava mosaic disease (CMD) and cassava brown streak disease (CBSD), are threatening to wipe off the crop in Eastern and Central Africa. The diseases have been spreading fast causing huge losses to farmers and affecting the food and income of millions of farmers. Africa-wide losses are estimated at US$1 billion annually. The virus diseases are transmitted by whiteflies but get a helping hand from farmers as they share planting materials with each other. There has been little interest from private sector companies to set up a commercial seed system. This creates a challenge on how to supply farmers with top quality disease-free seeds of the best available varieties produced by research. Legg says the team has been piloting a system to supply clean seeds to farmers in Tanzania – the first in the country. “Although the work started by using varieties that have been ‘in the system’ for some time, in the last couple of years many of the newly released elite varieties have also been introduced, so that currently there are more than 10 varieties in Tanzania’s clean seed system for cassava”, Legg adds. The team has been working with Tanzania’s national seed certification body, TOSCI, to develop guidelines on acceptable limits for CMD, CBSD, and pests such as mealybug and green mite in the planting materials and for inspection. These guidelines were incorporated into the country’s Seed Act, which represented a major step forward. They are now being used routinely in certification of pre-basic, basic, and certified cassava seed production sites. 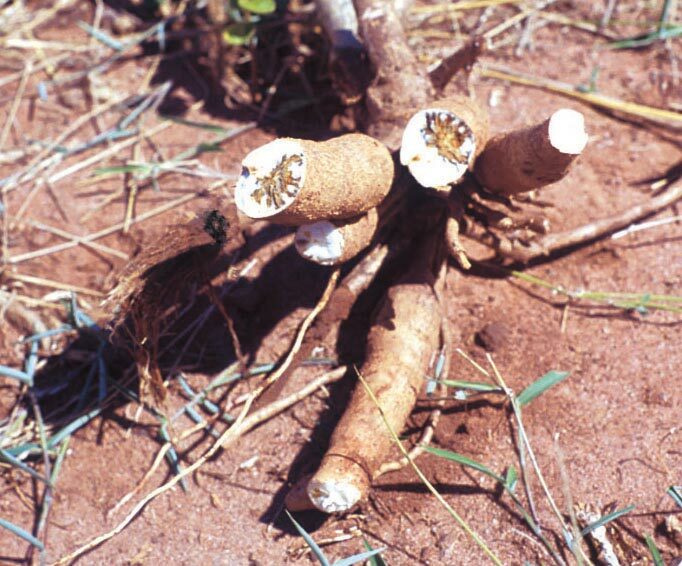 A major challenge in the certification of cassava seeds is testing for the virus in the plants. The plants do not always show symptoms. This calls for sophisticated testing methods such as real-time PCR. The team has therefore built the capacity of TOSCI for testing the viruses using this technology. But it doesn’t stop there. The team is also exploring novel ways of detecting cassava disease in Tanzania. Q“We are looking at technologies such as digital diagnostics that makes use of photos of leaves taken by smart phones to automatically identify major diseases. This is something farmers will be able to do on their own farms, both quickly and cheaply. Through collaboration with Penn State University working with Google, computers are being trained to recognize symptoms. So far, they have been achieving 90% accuracy for healthy, CMD or CBSD infected leaves,” said Legg. The team has also tested how communities can control the viruses. They went to selected villages in Chato and Mkuranga Districts and asked farmers to uproot all their cassava plants and gave them new healthy planting material. This is not easy as farmers always have their cassava crop for food security. The team held many sensitization meetings with the communities, because for it to work, it needed the cooperation of all farmers. “In communities where the disease pressure was high we got the highest cooperation. This is because they were harvesting almost nothing from their fields. Communities practicing phytosanitation were compared to control villages, where only a small number of randomly selected farmers were given new planting material, and where they were not asked to remove infected plants from their fields,” Legg said. The results were interesting. In year 1–3, disease pressure was very low in the phytosanitation-practicing communities. By year 3 we started seeing symptoms of the disease but this is because farmers again started introducing small amounts of their local varieties. Overall, yields were almost doubled and disease pressure greatly reduced in phytosanitation-practicing communities, while these benefits were not achieved in the control areas. “Is this the best approach to managing CBSD? Yes and no. Although phytosanitation reduced disease and increased yields, the process was expensive and only one new variety was available for each target community. 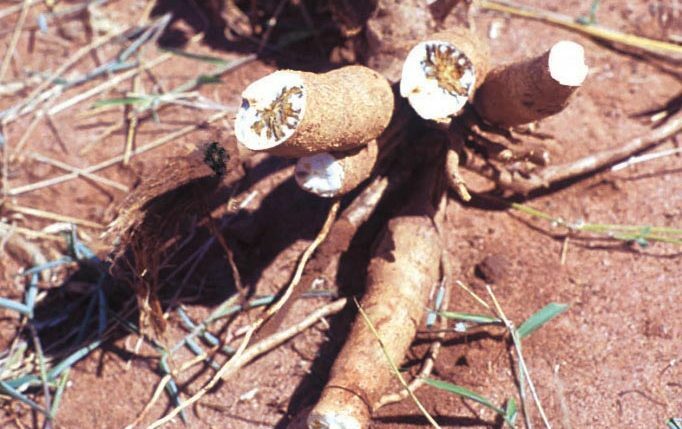 The results did show clearly, however, if healthy material of new varieties is introduced to an area, there is a great benefit if farmers do this together, at the same time as working to reduce the amount of infected cassava material in their neighborhoods.” Legg said. The team has also been studying the whitefly vector to understand their genetic diversity in the region, the crops they feed on, how they are attracted to cassava and the mechanism for spreading the viruses. Another area the team is looking at is how climate change has affected and will affect the spread of the vectors. Their work supplements the efforts by the IITA breeding team to develop new improved cassava varieties that are tolerant to the two diseases.